Tired of the same old Greek Mythology? Wish you could get in on the action? Want to study the Greek gods through lots of violence? If there was ever a game where one could think all the above, and be satisfied, then you've come to the right title! You are Kratos and you will murder the God of War. Simple, effective, and to the point. Okay, so I have a habit of being out of the loop and reviewing games that are more or less ancient by today's standards. After all, God of War was released five years before the time of writing this post. I'd picked it up (and later the second, which I will get to at a later time) with gift cards on a whim, and decided to see what the hubbub was about. So I decided that maybe I would be just a little extra manly and start the game off on "Normal" mode. That's right, no easy the first time around! Well, this is not your standard button masher, as I found out the hard way. God of War has a sort of finesse to all of its battles. Some of them can be as simple as mashing a combination of Square and Triangle, but many of the others pit you off against groups of enemies at once, and if you are playing on a higher difficulty level, they will tear into you quickly if you do not emphasize the proper caution. 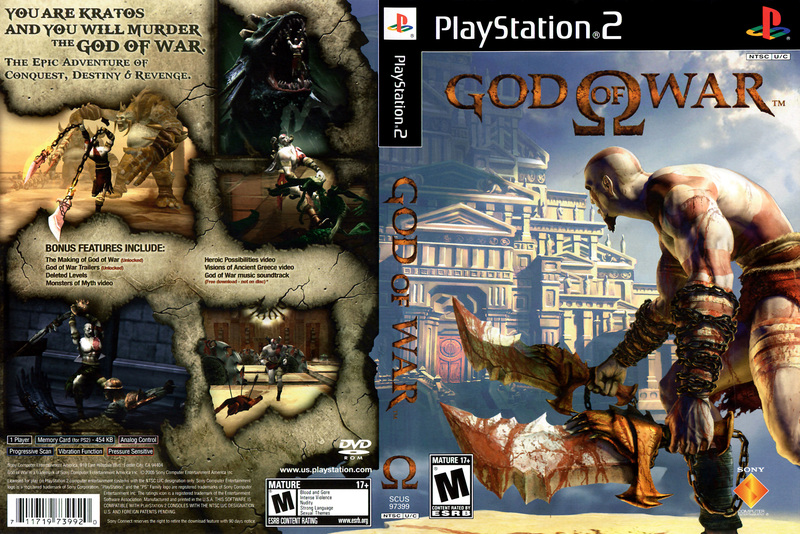 Also what sets God of War apart from your standard beat-em-up is the use of puzzles. Sure, they mainly involve blocks, and rotating said blocks, and using the blocks as stepping stones, but there's also a sense of urgency as far as the health and magic powerups. If you leave a level without getting a Gorgon Eye (for health) or Phoenix Feather (for magic), those powerups are lost forever and you have to deal with a less than max health bar. So if you do play this game, remember to check everywhere before you move on to where you assume might be the next area. I decided to branch out playing a game like this, sure I grew up playing a lot of platformers and action games, but later in life I've been drawn more to the Strategy and Role Playing genres, and it's nice to get back to my roots a bit with a game like this. Think of it more like Zelda set in Greece with someone who is completely opposite of Link. Okay, so it's not like Zelda at all, but it is considered an Action/Adventure title. Verdict? If you have a PS2, and you like action, BUY this game. Platforming frustration awaits, but it is an awesome ride to the end.